WordPress freebie is here again. It was designed to offer a low-key style to business-related projects, thought-out structure and responsive feature, so the site will get an effective visual frame and behave the same on fourth-screen devices. This easy to install, customize, deploy Free WordPress Business Theme is just launched, and is ready to download. 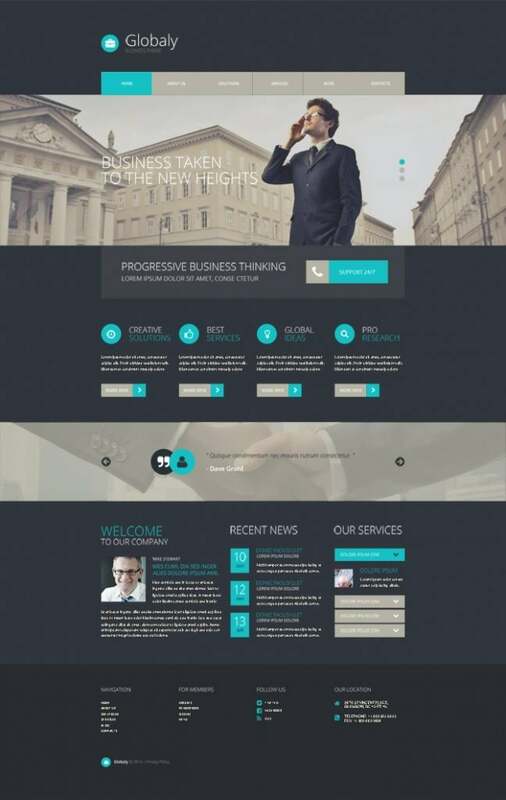 Being well-constructed, this theme is perfectly tailored for financial, insurance, consulting, bank, investment, IT, marketing, and any other projects that deal with business sphere. Its modern sleek layout in stylish dark colors with vibrant blue accents will provide character and definition to your website, making it noticeable online. Corporate appearance will help communicate business ideas in comprehensive way. Accordion, Carousel, Isotope sliders will fill-up tons of written information with images, making it more appealing to the visitors, who are known to be more image than text oriented. Powered by Bootstrap, this theme offers advanced functionality, and Cherry Framework facilitates your work with it.